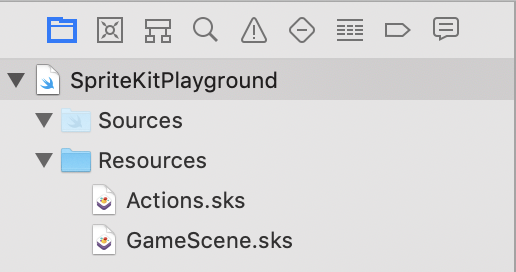 I left one important thing out of my SpriteKit playground article: how to add files to the playground. I wanted to put that material in the article, but there was so much to mention that it warranted its own article. Keep in mind that Swift playgrounds aren’t designed to handle tons of files. If you find yourself creating dozens of files, you’re better off creating an Xcode project for your game. If you look at the navigator for a playground, you will see that a playground page has a Sources folder and a Resources folder. You can add a new Swift file to the playground by control-clicking the Sources folder and choosing New File. Control-clicking the Resources folder and choosing New File creates an empty file. Those are the only options for creating a new file in a playground. Put the playground in its own folder. Add the files to the playground folder. Add the files from the playground folder to the playground. Putting the playground in its own folder isn’t mandatory, but doing so makes organizing the files in the playground easier. 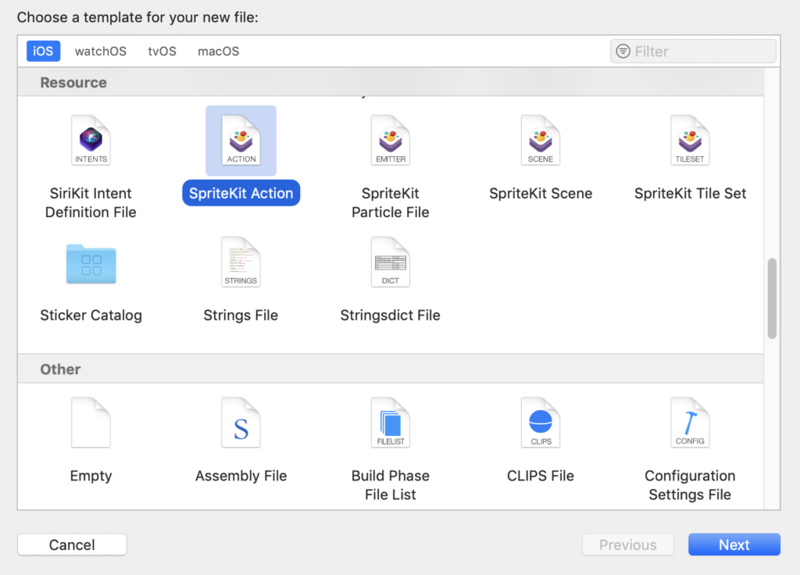 In Xcode choose File > New > File to create a new file. The New File Assistant opens. Click the Next button. Name the file, navigate to the playground folder, and click the Create button. If the New File Assistant does not open and a new file appears in the playground, close the playground and reopen it. Swift playgrounds can be flaky. Now that you created the file, you can add it to the playground. Select the Resources folder or Sources folder (for source code files), right-click, and choose Add Files to. An Open panel opens. Navigate to the playground folder, select the file you want to add, and click the Add button. If the file you added does not appear in the playground, close the playground and reopen it.